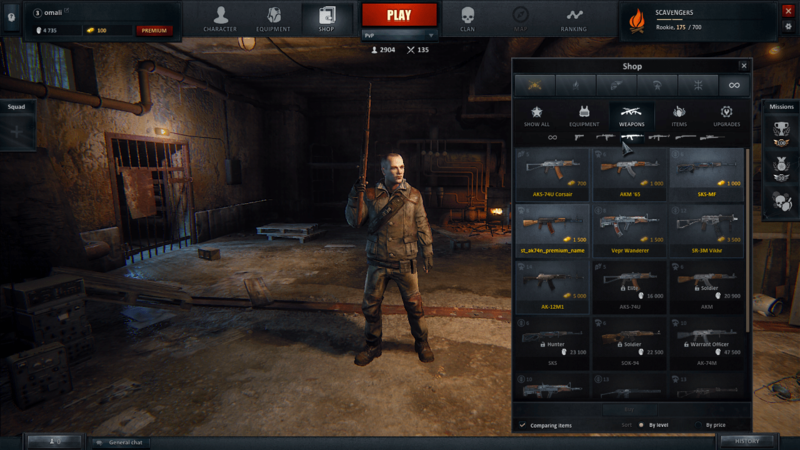 I took some time to sit down with Survarium, knowing full well that the game is open beta, still a pretty long way away from launch, and missing the key component: Free play. Still, with the game now open to the public and taking money, I wanted to see what the player vs player had to offer. Right now, Survarium isn’t much more than another free to play shooter set in a universe reminiscent of the STALKER franchise. You have the choice of team deathmatch, research, and protective device. Protective device tasks both teams with picking up and returning charged batteries to their base. Research involves fighting for control over territory points. 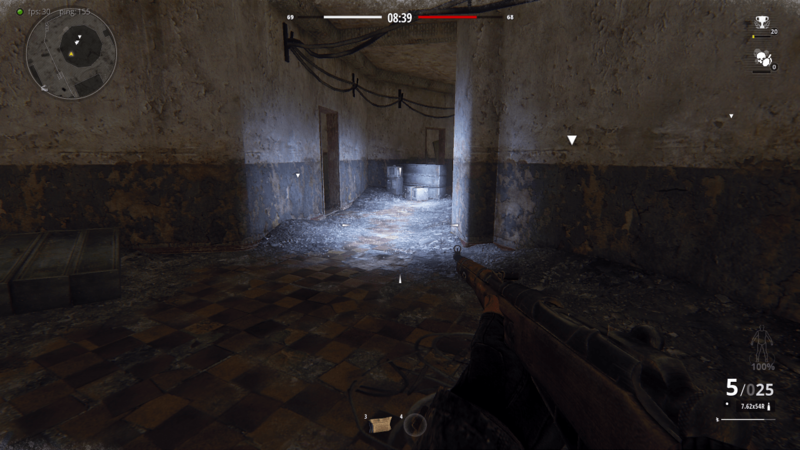 I wasn’t able to get into the research mode due to what I believe is a bug, you need a certain number of rounds completed in PvP before you can unlock research and protective device, and the counter for mine randomly wouldn’t count after a match. So far I’ve found Survarium impressive in terms of netcode, experiencing next to no lag considering the majority of players in each game were Russian. By the way, the majority of players are Russian, so be prepared to not understand anything being said in chat, unless you speak Russian. Be prepared to see ‘cyka’ in chat, a lot. As usual in first person shooters, team deathmatch was the only mode really represented by players. I did get a single match of protective device in, but didn’t have the time to deal with the ten minute queuing to get any further sessions in. Team deathmatch is of the Battlefield variety, with both teams fighting to tick down each other’s pool of reinforcements until none are left standing. Death, in Survarium, comes both quickly and slowly as you not only must worry about being shot, but also the chance to bleed out afterward. It’s a pretty common occurrence to get into a shootout with someone only for the victor to die seconds later from injuries sustained during the battle. 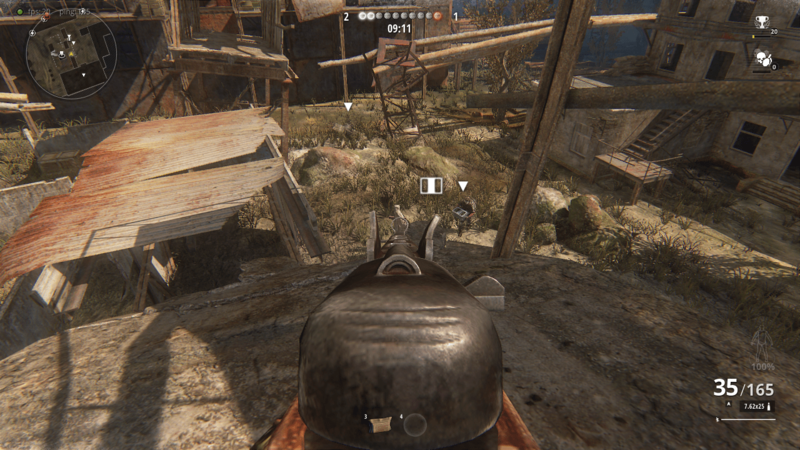 I haven’t been able to fully explore the injury system, but I did note that a well placed grenade, while not lethal, was able to cripple my character and prevent him from walking. Given that this is a beta, I’ll refrain from giving any credit to the game’s current rate of experience/money/weapon prices because all of that is subject to change before launch, and you never know if Vostok Games will pull a 180 (as has happened in games before) and nerf everything to draw more focus to the cash shop. Each match rewards the player with experience in their character level, faction, and offers rubles as well as the chance for weapon/gold drops. Rubles can be used to repair weapons and buy new items, while premium currency is available to buy premium weapons. While free play mode won’t be in for some time, I wanted to get a look and see how the foundation of Survarium is progressing. As a shooter, the game seems to be on solid footing, one that will hopefully translate into the open world mode coming soon™. If you’d like to check the game out for yourself, you can do so here.